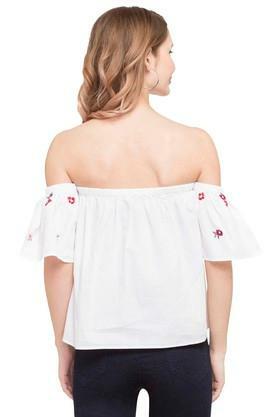 Off shoulder tops are the order of current fashion scenario, hence this one from MS Taken will be a great pick for you. 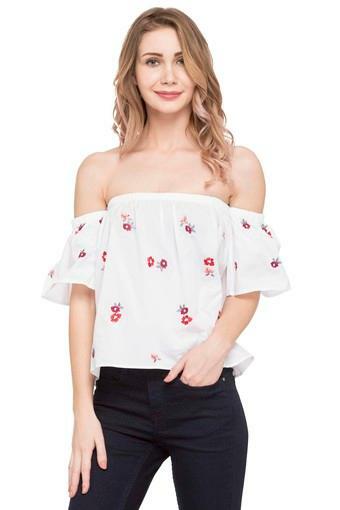 It scores quite high on the comfort quotient as it has been tailored with care using premium quality fabric. Besides, it is adorned with floral prints, which make it appealing to look at. 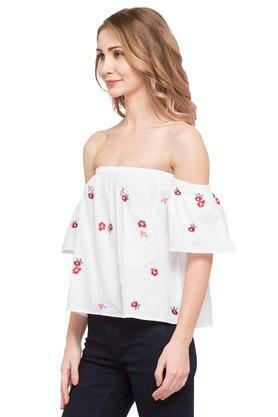 Rev up your casual collection by adding this top, which comes with an off shoulder neck. To ensure that all eyes are on you, try teaming it with a pair of denim shorts and pump shoes.